Peter is a Quebec trained attorney with 23 years of experience. He has practiced in the fields of Commercial, Corporate and Tax Law. Peter has lived and worked in the Turks and Caicos Islands for over 10 years, providing him with vast knowledge of the local laws and landscape to make him well-versed in successfully navigating many complex commercial matters and negotiations. Peter is a licensed attorney in the Turks and Caicos, and was called to the Quebec Bar in 1988/89. He is a graduate of McGill University in Montreal [LLB] and Ottawa University Law School [LLL]. He is a former member of the Bar Association ofQuebec and a member of the Turks and Caicos Bar, and is fluent in English and French. George is a co-founder and managing partner of Karam & Missick Turks & Caicos and Bahamas. George is a fierce and fearless litigator with a strong background in Commercial Litigation, Personal Injury, Admiralty, Insolvency and Company Law. He graduated from the University of Buckingham with Honours in 2000 and passed the Bar Vocational Course in 2001 at the University of the West of England & Wales, Bristol. George is admitted to three Bars: England & Wales (2001), The Bahamas Bar (2001) and the Turks and Caicos Bar (2007). He is also certified in dispute resolution from the Dispute Resolution Foundation in Jamaica. Prior to starting the partnership of Karam & Missick, George worked as a senior associate at the law firm of Callenders & Co. in the Bahamas where he handled detailed civil and commercial litigation, and conveyancing matters throughout the Bahamas. He also worked on a variety of litigation and commercial matters for the Grand Bahama Port Authority Group of Companies including the GB Harbour Company, GB Airport Company, GB Power & Utility Company and the GB Shipyard. George has enjoyed much success in both the Supreme Court and Appeals Court and has won many high profiled cases in the civil courts as well as the Labour Tribunal. George has been involved in multi-million dollar insolvency claims, world wide freezing injunction claims, ship arrest andother maritime related matters. He regularly advises commercial banks, trust companies, resorts and large corporations on banking and commercial matters. More generally, George provides advice in relation to high value personal injury and fatal accident claims and has successfully litigated or settled claims totaling in the millions. George is a former President of the Turks and Caicos Islands Bar Association having served 3 consecutive terms and is a former member of the Rotary Club of Providenciales and conducts regular legal aid clinics within the community.He was sworn in as a Notary Public of the Turks and Caicos by HE Governor Ric Todd in Providenciales on 22nd April 2012 and is also a Notary Public in the Bahamas. 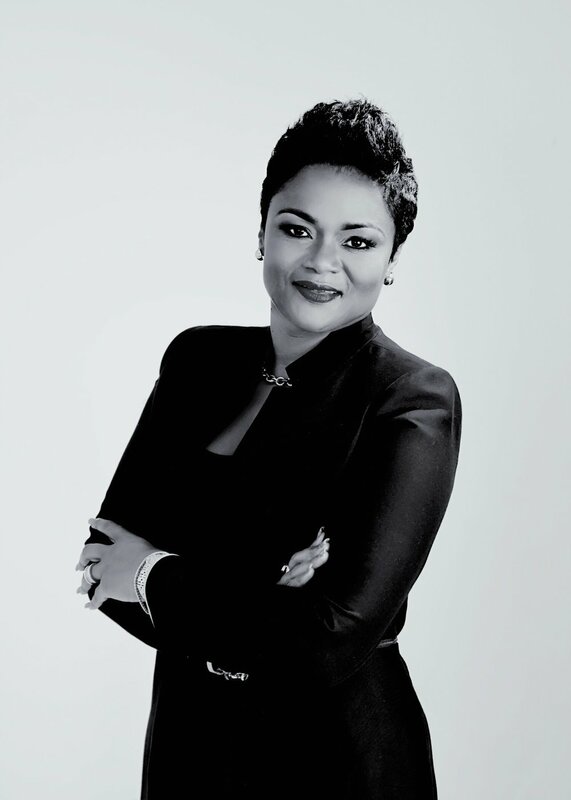 Alecia is a co-founder and the managing partner of Karam & Missick Bahamas. Her legal career is complimented by her very diverse background spanning more than 20 years in the hospitality and banking industries. Alecia is a dynamic, decisive and diligent Attorney who is a trendsetter in her style, approach and delivery. She goes beyond the usual standards of practice to meet and exceed her client’s expectations. Although she is firm and forceful in her practice, her approach is principled and highly respected by her clients. Mrs. Bowe is a former partner of Chancellors Chambers. Alecia specializes in real estate development, resort development, banking and securities, mediation, assets recovery and corporate and commercial matters. Alecia is a graduate of The University of Buckingham, England and is a Member of The Honourable Society of The Middle Temple and The Bahamas Bar Association. She is also a director on the board of Consolidated Water Bahamas Ltd.
Neale Coleman is an experienced civil and commercial litigator. He was as admitted a Solicitor in England and Wales in 1996 and called to the Bar of the Turks and Caicos Islands in 2007 as an Attorney at Law. Neale joined Karam & Missick as a Senior Associate in February 2011. Neale has practiced as an attorney in the Turks and Caicos Islands since 2007 formerly being a partner at the law firm of Bishop Papachristou & Prudhoe. Prior to his arrival in the Turks and Caicos Islands Neale practiced as a commercial litigator in London working for a large international law firm. Neale is a member of the Law Society of England and Wales, Turks and Caicos Bar Association, and a member of the Society of Trust and Estate Practitioners. Neale also undertakes a broad range of commercial and civil litigation appearing as counsel in the Magistrates Court, the Supreme Court, the Court of Appeal and the Labour Tribunal. Neale has many impressive victories in the Courts and is often referred complex litigation from other senior attorneys. 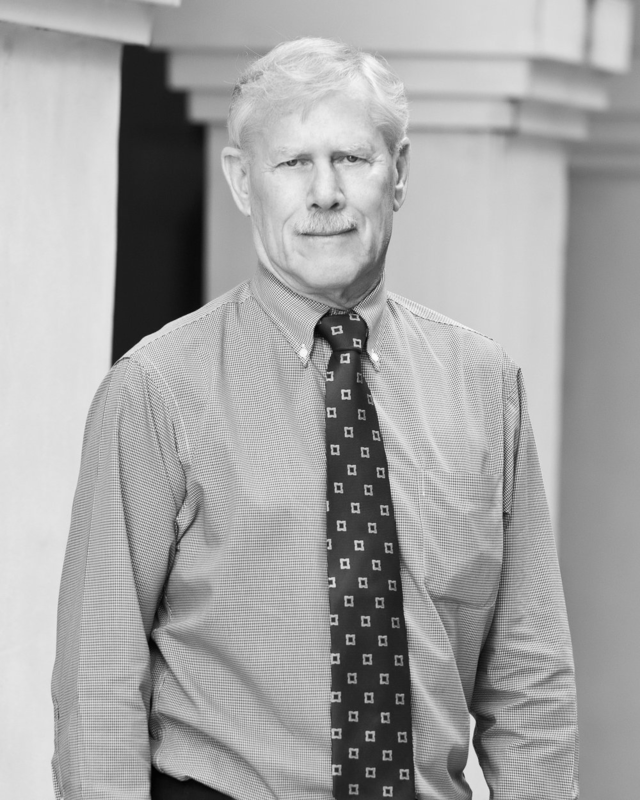 Dale is a Senior Associate at Karam & Missick who specialises in Real Estate and Commercial Law. He is called as an attorney in Canada since 1981 and in the Turks and Caicos since 1989 bringing with him a wealth of knowledge internationally and locally. The focus of Dale’s practice is the consultation with and provision of legal services to existing and new clients to meet their needs and requirements, from taking instructions for wills and simple real estate transactions, the drafting of documentation to meet those ends, accepting the challenges involved in the preparation of Trust Deeds, revocable, irrevocable, discretionary and those for asset protection purposes. Dale isalso involved as a key player in corporate commercial transactions and the security documentation required in raising funds for small start up enterprises and reverse take over negotiations of publicly traded companies by the start up enterprises. Having obtained her Undergraduate Degree in Law (LLB) in 2012 from Oxford Brookes University and her Postgraduate Diploma in Legal Practice in 2014 from the Oxford Institute of Legal Practice. Since being called to the Bar in 2014, Jerwina has practiced mainly in the areas of Employment Law, Property Law, Family Law and Civil Litigation. She has both prior to and after her call, gained experience in employment conciliation as well as more contentious unfair dismissal matters lodged in the Labor Tribunal. She has represented local Banks in Court applications for the sale of foreclosed properties pursuant to s.72 of the Registered Land Ordinance, and has also had conduct of both contentious and non-contentious divorces. Jerwina has in addition, been actively involved in matters ranging from Judicial Review, Debt payment claims and Breach of Contract suits. Aisha is a 2000 graduate of The University of Buckingham and is called to the Bar of England & Wales. Aisha works closely with other attorneys in the firm representing lending institutions and lenders and purchasers in land transactions. She also has vast experience in litigation and domestic matters and has worked on many high profile litigation cases. David is a senior silk with an established reputation as a strategist and advocate in the field of commercial litigation and dispute resolution. He is also highly regarded in the fields of sport, professional negligence, and EU transport regulation. David has conducted substantial pieces of litigation on behalf of the Government of the Turks and Caicos Islands (both on the Islands and in the Privy Council) in constitutional, commercial and judicial review cases, as well as litigation concerning the Islands’ recent Commission of Inquiry. David has also appeared in and advised on major matters for institutional clients in other Caribbean territories including Anguilla, BVI and the Bahamas. David is the leading counsel directing the Turks and Caicos civil recovery programme. This is a high-profile programme employing some of the world’s leading asset recovery lawyers which is the result of an inquiry by Sir Robin Auld that highlighted widespread corruption in the Islands. In 2009, the territory was returned to direct British rule and one of the largest civil recovery programmes, as well as a criminal programme, began. So far in excess of $21m in cash and more than 2,447 acres of land have been recovered in respect of civil recovery claims. The use of both civil and criminal mechanisms has allowed the government to decide on the best course of action for each case and this combined approach has been praised widely. David is a Recorder of the Crown Court and sits as a Deputy High Court Judge, as well as sitting as an arbitrator in a variety of fields. David is recognised as a highly effective, no-fuss, easy to work with advocate. He is rated as a leaders in his fields in both The Legal 500 and Chambers Directory, where not only has he been described as being “disarmingly talented” but, has also won approval as “a barrister who does not make a song and dance about things but who just gets them done”. More recently Chambers Directory commented that “his advocacy contains razor-sharp insight camouflaged by gossamer-soft presentation”. Legal 500, 2015 commend him for his “excellent manner with clients” and his “excellent communication skills and great knowledge of sports law”. David Phillips QC is listed in the Who’s Who Legal: Sports & Entertainment 2016 for Sports.